Website Photography: Buy Stock Photos or Take Your Own? Viewing Post: Website Photography: Buy Stock Photos or Take Your Own? 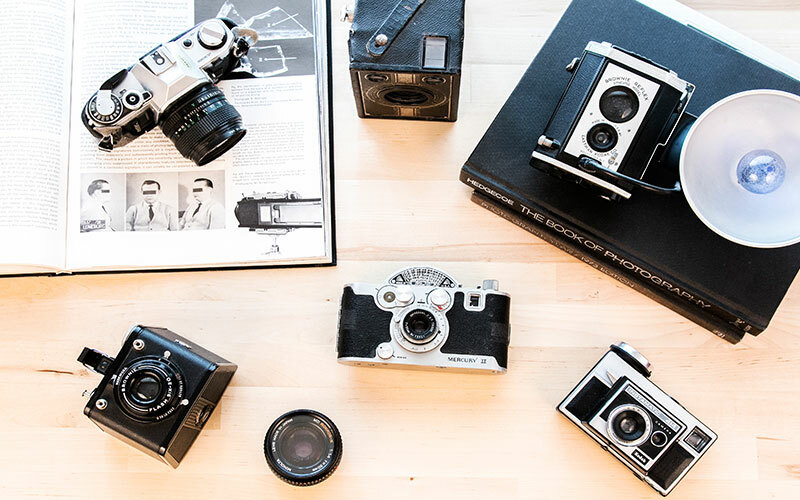 Whether you need images to design your new website, or want to spice up your blog photography, one question that always arises is: do I purchase stock photography or take my own photos? how often will you need them? what’s your monthly/yearly budget for imagery? what’s your time allotment for finding/editing/taking/dealing with images? what kinds of photography will you need (i.e., still life, people, nature, etc.)? …and sometimes you just have to make a list of each and decide from there. Stock photography can be so easy and time-saving: you purchase a photo, and voilà! you have a professional-looking image for your website! That said, using stock images isn’t all puppies and ponies. Here are a few pros and cons you might run across when using stock photography images. You get professional/high quality images every single time. One subscription price covers your photography needs. That means no time spent on your part (and time is money) trying to take your own pictures. Myriad of options from which to choose — whether you need landscape, business-oriented, abstract, whatever…you can find it! Images can go right from the stock website to YOUR website — no editing! To every pro, there’s a con…well, nearly so. You have to purchase a license/subscription, OR pay per photo, which can be very spendy. Do you have the budget? Other brands/businesses could be — and somewhere, are — using the exact same images you are. Looking for the perfect photo for every single instance can be very time-consuming; some stock photo sites aren’t very well organized. Stock photos often seem very posed/fake/general/boring. In this case, you don’t have just one pro/con list to make — you’ve got two. What about deciding to take your own website images? These days, with good cameras at more affordable prices and a smartphone in nearly every home, DIY website and blog photography is much more popular than in days of old. Here’s a list of good and bad to consider when thinking about taking your own website photos. There’s zero need to worry about having the same image as another business that bought it from a popular stock photo site. You have the freedom to be creative and not rely on what you can find on a stock site. You can tailor the photography needed for a specific website or even a particular blog post to your exact needs. It’s FREE! Well, at least there’s no subscription or by-photo money out of pocket. But, even though that all sounds wonderful — here are the arguments against. In order to take good images, you need to have semi-decent equipment, lighting, and a “surface” or area in which to shoot. That can cost a lot up front. Will the images be high-quality? Do you have the TIME to sit and photograph enough images to fulfill all your needs? You’ll probably spend more time setting up, shooting and editing your own photos than you would finding relevant photos on a stock website. It might seem as if I’ve laid out an equal argument for either — buying stock photos or photographing your own images — but it really boils down to your specific needs. So…Stock or Custom Website Photos? Ultimately the choice, dear website designer (or blogger), is up to you! You’ve got to weigh the pros and cons of each option and make the decision that works best for you. You can even mix it up and try a combination of both — maybe for some projects you photograph your own custom work; for the majority of your designs you pull from your yearly stock photo budget. Whatever you decide to do, just be sure the photos you buy or take are the highest resolution possible. You can always save-for-web and downsize, but you can’t turn a low-res photograph into a high quality image to use in a design.